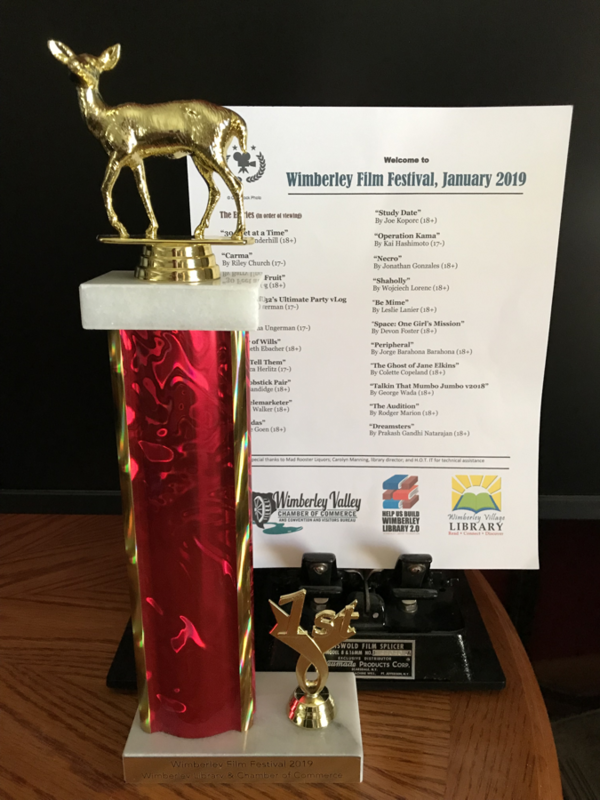 The Wimberley Film Festival was held in January 2019. It is for short films only and so I edited one of the sequences in Wine Bar of the Mind to be a stand alone film, called The Audition. It won for Best Comedy. There is a new post in this category. No, it’s not about progress on the new film. It’s about my recent mixing theater with film in a post called Doing a Little Horror Shopping. In a switch from being behind the camera, awhile back I was the subject of a short film. It is a new addition to the Update on Aging section titled – Life with Cancer: Texas Oncology Stories of Inspiration. There will be occasional essays (posts) to report on my progress. These will be found at the Depth of Focus tag above. Also, I’m going to update some statistics below on a regular basis. As of April, 2019. Recent Activity: Dianne and I worked on the book within the film and wrote a really clever ending that won’t appear in the film but that will be in the published book. Jason has written a song for the first scene that we plan on producing as a stand alone audio release. Number of Characters: 5 featured roles, 10 minor roles, plus 10 extras for one scene. All of the 204 essays written for the UTMB East Texas Geriatric Education Center project will be found at the Update on Aging tab. The ETGEC Update on Aging now has it's own menu item above. All 204 essays are available by clicking on the tab.